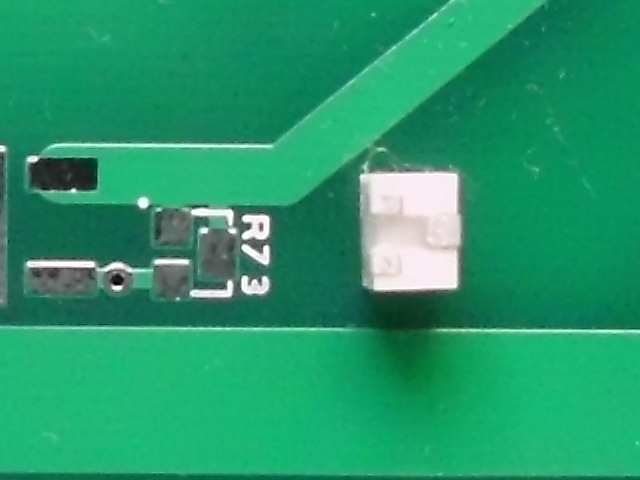 The PCB footprint I designed for a 4mm SMT trim pot is too small. As in life, stuff happens. My body has flaws, jobs have unexpected problems, relationships include pain. That doesn’t mean I give up and start over. If at all possible, I make do with what I have. 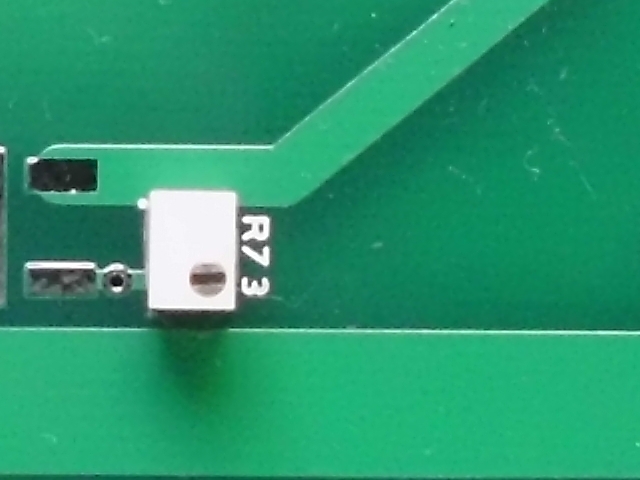 Here is my footprint (R73) for the single-turn, 4mm trim pot to the right. 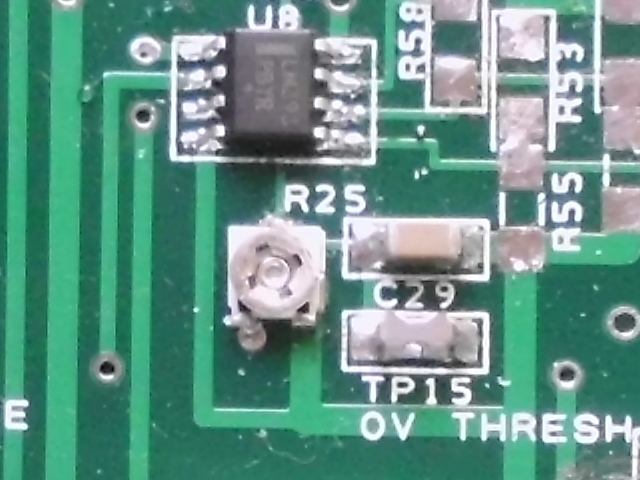 The pot is turned over in the picture, to show the solder points. I’m a bit concerned that the center lead will short out the pad pattern. Here is what the pot looks like placed on the pads. 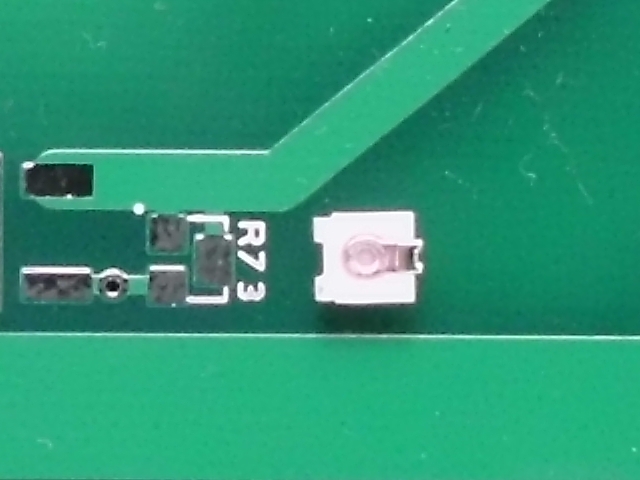 Although the footprint exceeds the manufacturer’s recommendation for size, the pads do not extend beyond the component outline. 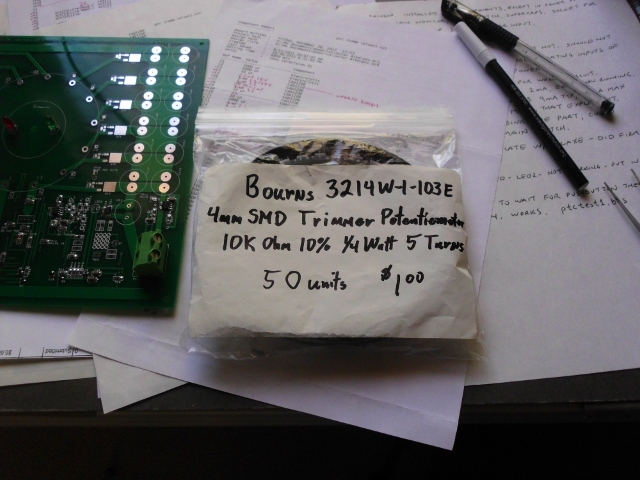 This would not be a problem for surface mount reflow, but I only have soldering irons. I’d love to use these trim pots, a real bargain at a dollar for a bag of 50 at the flea market. Actually, there were bags of 100 for a dollar, but I was being a good citizen and not taking more than I needed. Of course, the footprint was designed to accept the 5-turn device as well. 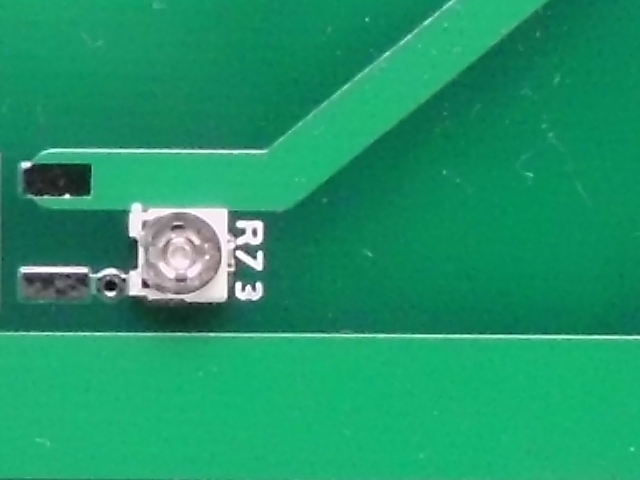 The 5-turn component also completely obscures the pads. In a different location on the board, I was able to make the single-turn part work. What I did was tin the bottom of the component first, then apply heat to the leads from the sides. It works, and does not seem to short out the pads as I feared. To further reduce the chance of shorts, I think I will offset the part, even if it covers the reference designator, in other locations.